The simple, affordable way to drive innovation and attract talent. Bottom-up innovation programs generate annual returns of 25%–30% while creating a sustainable competitive edge. Differentiate your employer brand, strengthen your culture of innovation, and create a new career path option for every employee. 70% of successful entrepreneurs incubate their startups while working for someone else. Don't let your employees become competitors! Harness their entrepreneurial ambitions to drive win-win growth. Intrapreneurship programs drive real results. Intrapreneurs are employees who create extraordinary value for their organizations by identifying and exploiting opportunities for innovation. The typical intrapreneur creates 10X more value than their peers; the world’s most successful intrapreneurs have created returns measured in the billions. Intrapreneur success stories have a huge impact on corporate culture and employer brand by creating a sense of boundless opportunity and innovation. 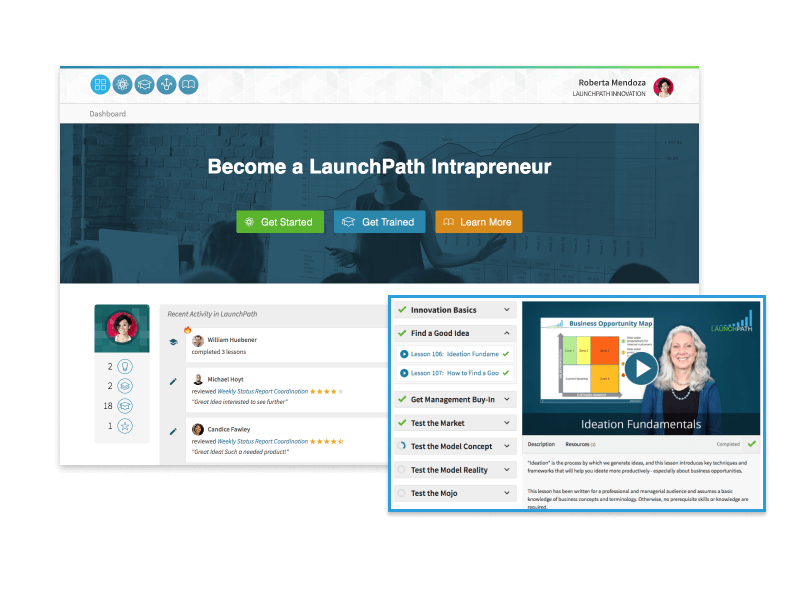 LaunchPath is a fully managed, technology-enabled, intrapreneurship-program-in-a-box. 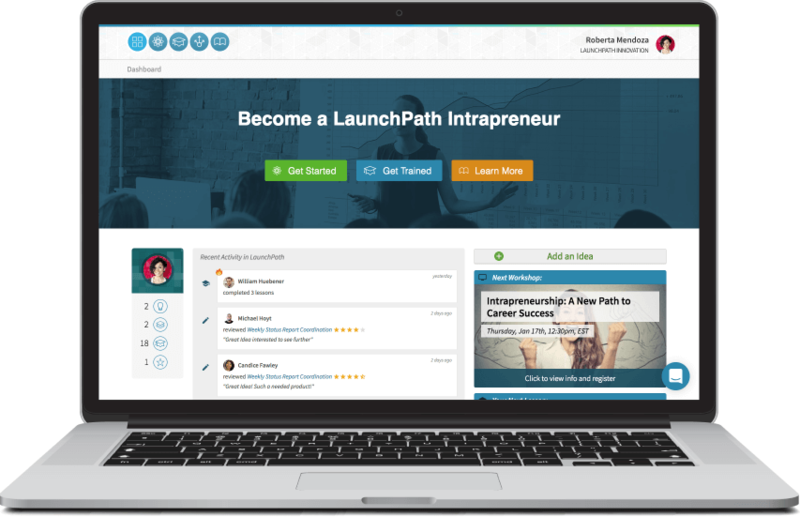 Using a step-by-step process and a comprehensive menu of options, LaunchPath will help you design the ideal intrapreneurship program for your company. 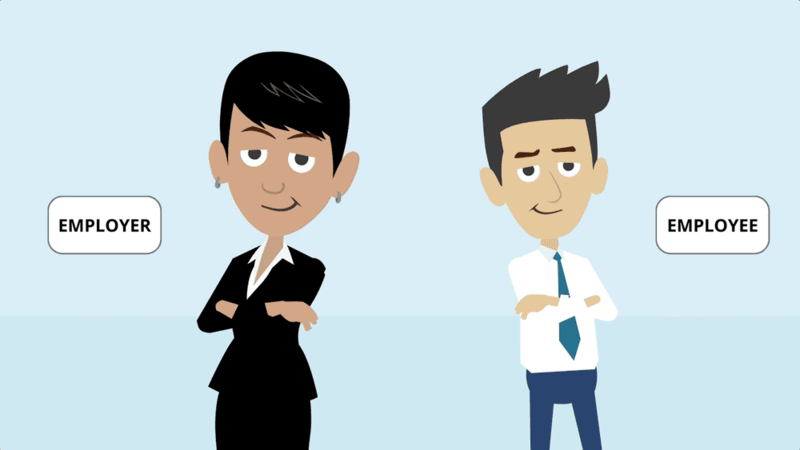 Next, we recruit and on-board eligible employees into the program with personalized outreach campaigns. 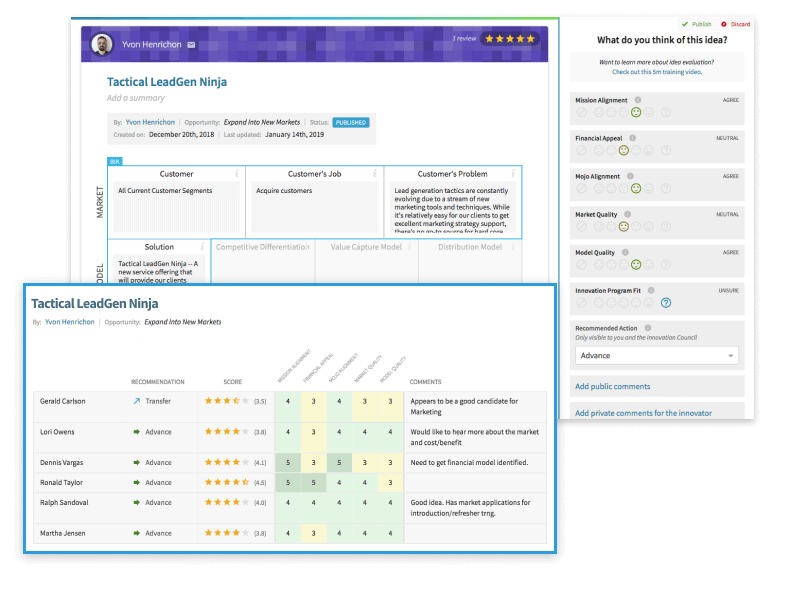 The LaunchPath platform then guides intrapreneurs through a lean startup innovation process in a manner that aligns their efforts with organizational priorities and resources. 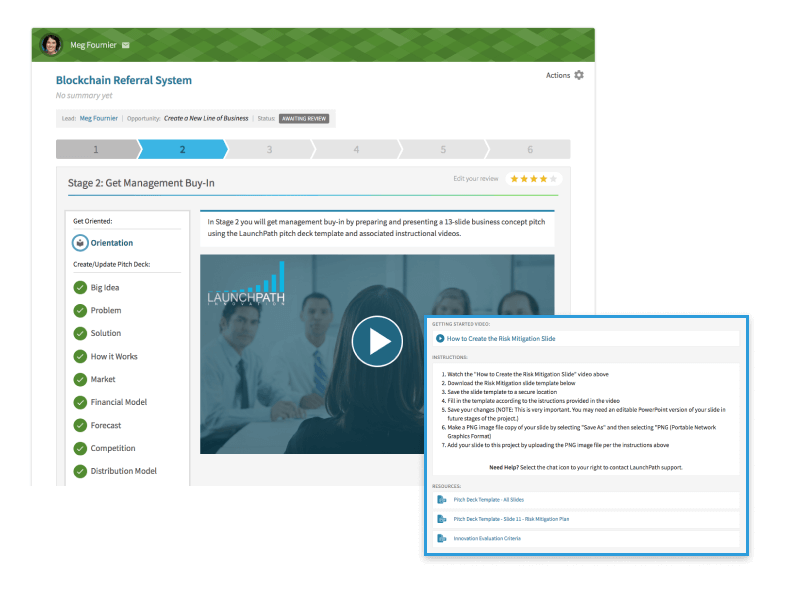 As they travel the path of innovation, your employees are supported and empowered by a comprehensive array of integrated training modules. Employees engage. Ideas flow. Projects move forward. Skills develop. Intrapreneurs emerge. Business grows. Culture transforms. You succeed. My mission as a leader is to enable my team to achieve their full potential. LaunchPath helps me do this at scale. 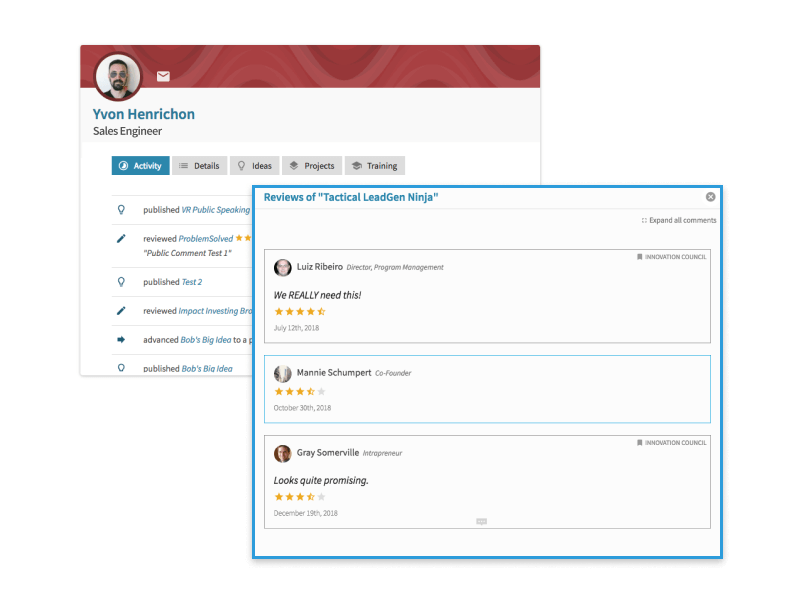 As soon as one of my employees signs up [to LaunchPath], I know they are more actively engaged with helping to shape our company’s future.